The rise of the electric vehicle over the past decade has been extraordinary. In what seems like a blink of the eye, auto manufacturers have gone from barely registering the possibilities of EV technology to embracing it so fully that every major company now has an EV strategy and the future of the industry looks to be battery powered. Currently, more than two million electric vehicles cruise the world’s roads and some projections forecast that number to hit 17 million by 2025. 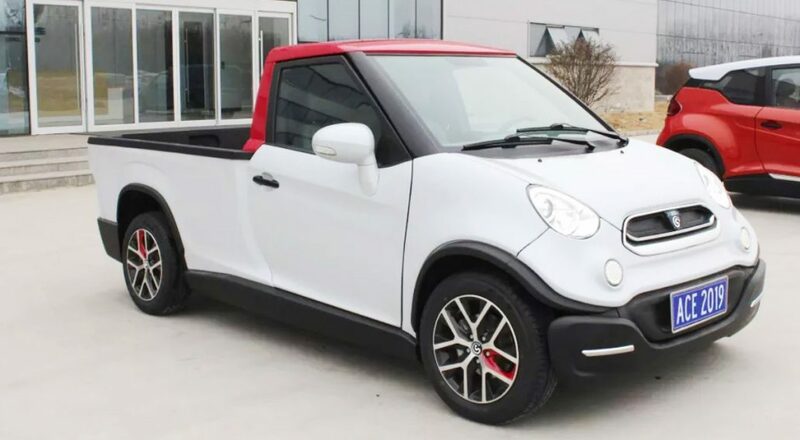 In China, consumers bought nearly 700,000 EV and hybrid vehicles last year and the number of models and brands seeking to service that market is growing fast. In Norway, one-third of the new car market is EV and some European countries – the UK and France included – have said they will ban sales of new diesel and petrol cars by 2040, presumably leaving EVs to pick up the pieces. It would be fair to say that Australia has been somewhat lagging when it comes to EVs. There are, in fact, just 4000 of them on our nation’s roads today. That will, and must, change – where the world goes, we will surely follow – and the opportunity is ripe for some pioneering Australian company to step in and bring that manufacturing sector to our shores. 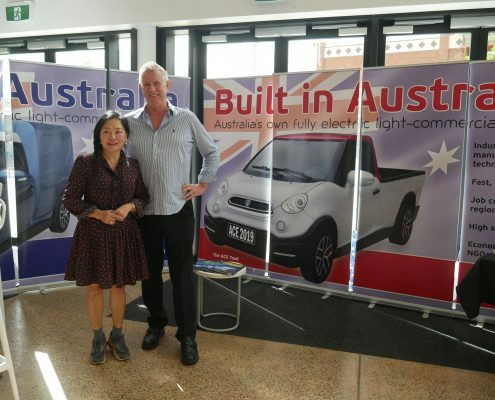 Based in Queensland’s Fraser Coast region, ACE – an offshoot of energy management industry leader Get Green is embarking on an EV project that could make the state not only the hub of the nation’s EV industry but the centre of a new automotive manufacturing industry too. 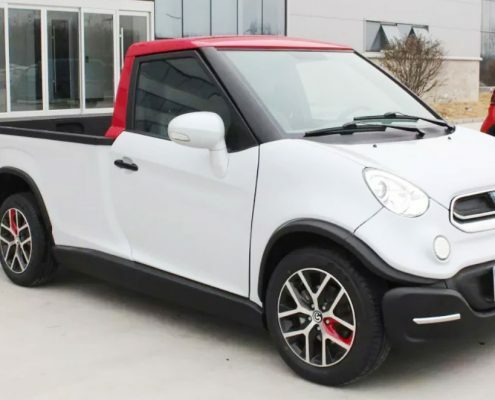 At the core of this project are the sub-$40,000 Cargo Van and the Yewt, two vehicles set to go into production this year and designed for the urban light commercial vehicle market. 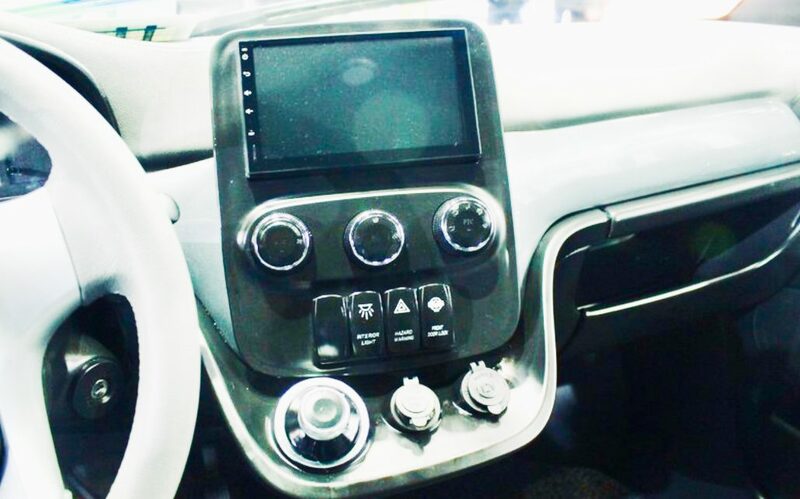 A passenger vehicle, the Urban Switch is also on the drawing board. The Cargo and the Yewt are, said ACE Managing Director Greg McGarvie, perfect for the light commercial sector. 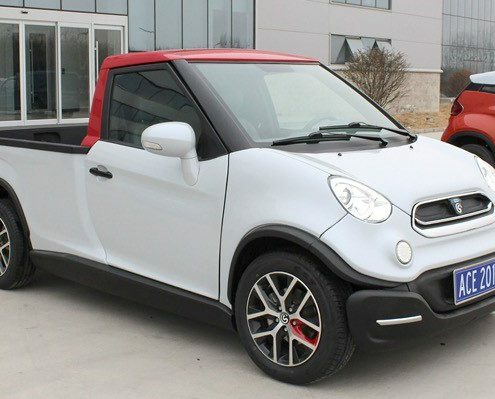 The Cargo has a payload of 500kg and both vehicles have a range of 350km – perfect for a range of urban-oriented businesses, from couriers to caterers to tradies – and not only do they deliver low-cost, efficient and economical transportation, but also a potential source of income for owners and, in future models, a power source for the home. 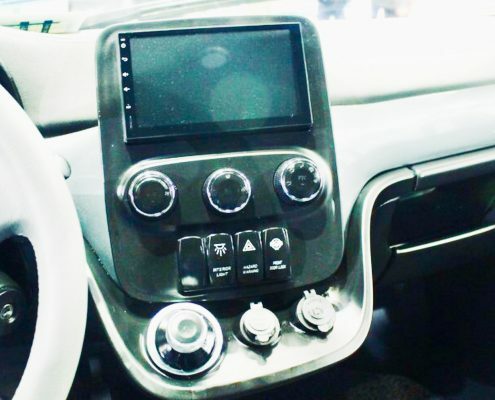 “The vehicles will be sold with a charger and an app that works a bit like an AirBnB app,” said Greg. “The app will allow a person with a charging station at home to inform others when their charger is vacant and when they can come and use it. This means charging station owners will be able to earn money from it. For the moment, ACE vehicles will be assembled from components built in China and shipped to Australia. True manufacturing – in which all components for the vehicles are also produced here – will occur at a facility to be built in Maryborough once demand reaches a critical point. 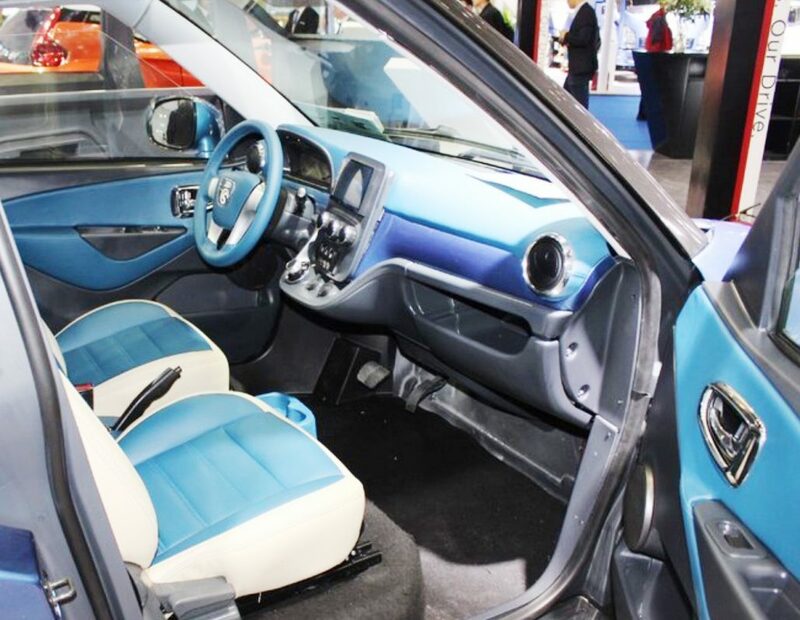 The vehicles incorporate a carbon fibre chassis and passenger protective structure – offering light weight but great strength – while the panels are made from ABS plastic. Everything is glued together in a similar process to that used for modern commercial aircraft such as the Boeing Dreamliner – again offering great strength with less weight. 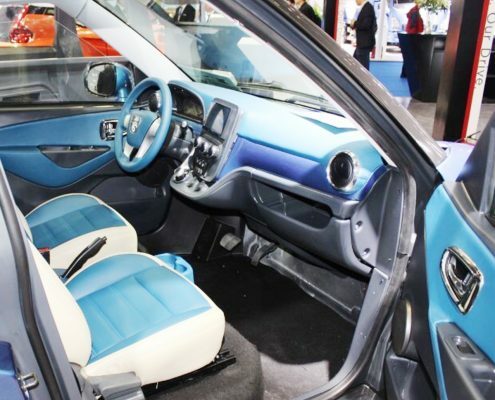 And coming from a parent company that deals with environmental issues through energy management, it is no surprise to discover that what happens to the vehicles once they have been sold has been taken into consideration. 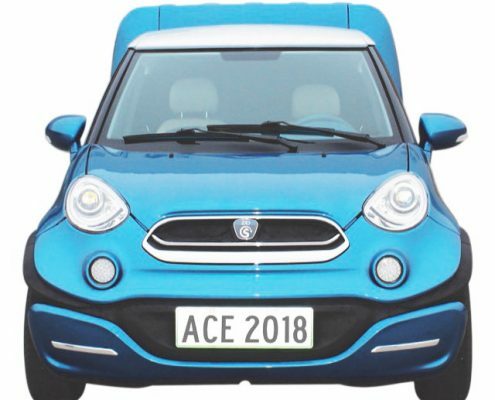 The ACE vehicles have been in development for five years and are the result of a relationship between a conglomerate of supply-chain companies and individuals connected to industries related to EVs and automotive manufacturing. 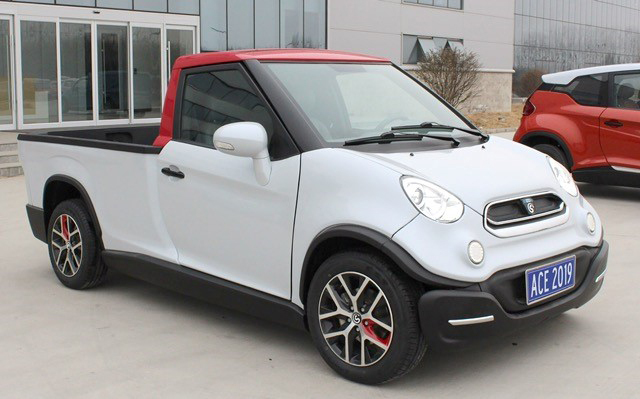 These include Ernst Thomke, who was part of the team behind the Swatch/Daimler-backed Smart car brand. 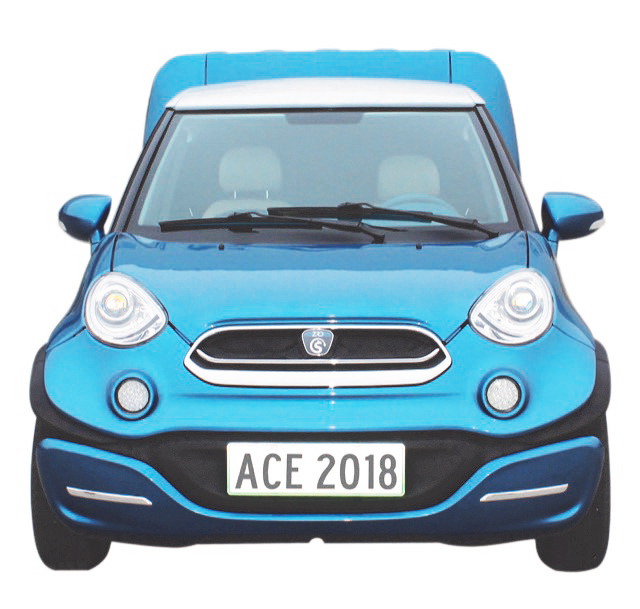 Having that sort of heavyweight support, while also securing the IP for the technology used in the production line and for the right-hand drive version of the vehicles, means ACE is sitting in an extremely advantageous position. 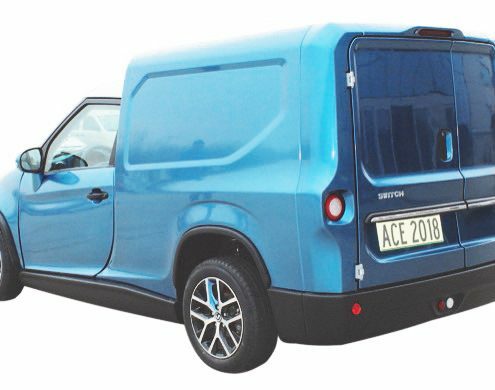 The interest in the ACE vehicles has been very positive. 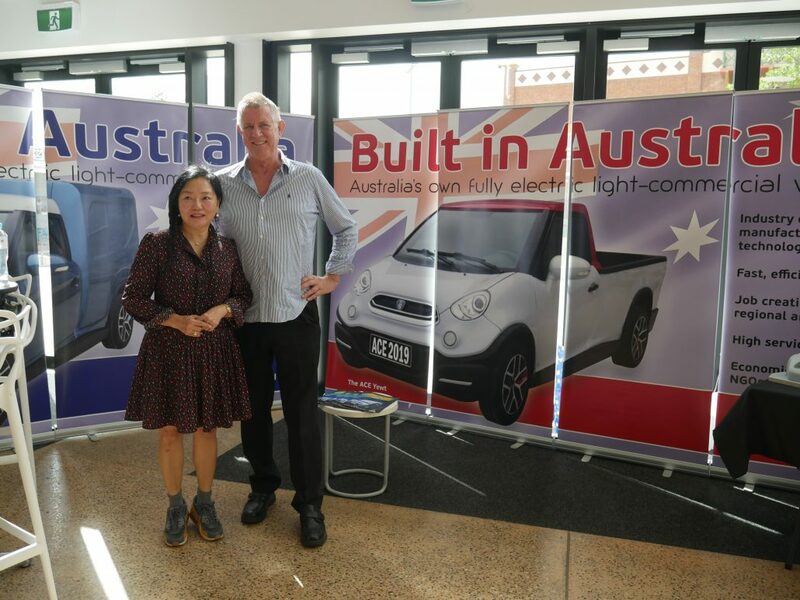 Following recent launches in Sydney and Queensland, including as part of the MTA Queensland Garage program at the Myriad 2018 tech and innovation festival, Greg and his team have, he said, had plenty of contact with those keen to be part of the project. 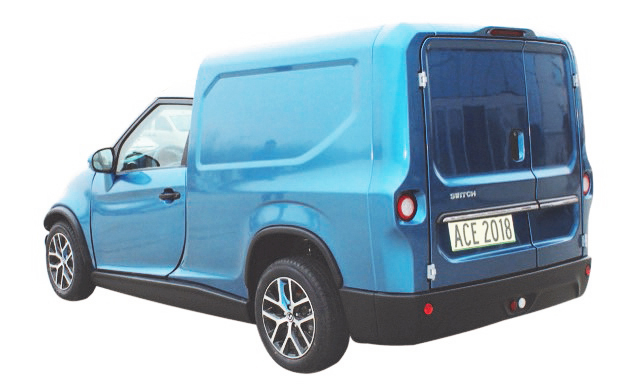 The buzz around the ACE vehicles is – excuse the pun – electric, and the distribution and sales model that the company is considering is equally exciting and opens a door for the auto industry – including members of MTA Queensland to join the EV revolution. “We are not going to set up traditional distribution networks,” said Greg. “People will be able to buy the vehicles online, but we also will engage with others who want to be involved with the project including, we would like to think, members of MTA Queensland. For those interested in taking a chance on the future of EVs and want to get in early, there’s a deal on the table that could prove to be one the greatest bets in history. With the future of electric vehicles all but assured thanks to growing global demand, that sounds like a good bet indeed.